So, you have started a healthier lifestyle, you’re exercising, working-out, running… You have a body in your mind that you’re striving towards, and that is fantastic. But you should also know that in order to maximize the effects, your body needs muscle-forming nutrients and proteins. 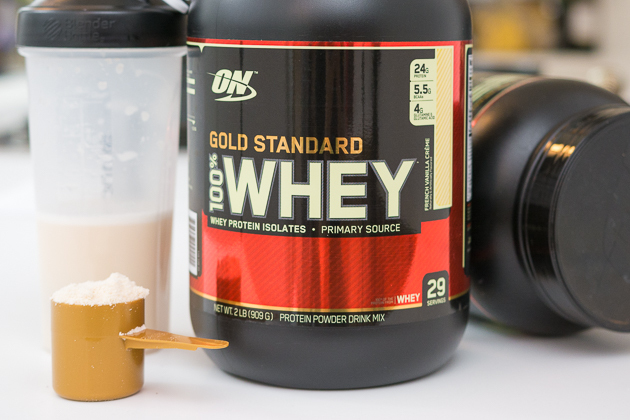 And when it comes to choosing the one protein to rule them all, there’s no way to beat whey. Before pondering on the way it affects the human body, let’s find out more about how it’s derived from milk. Milk contains two forms of protein: casein and whey. By separating whey from the casein, we get raw whey that can be processed into concentrate, hydrolysate and isolate, isolate being the purest of all three – it is considered to be a full protein since it contains all 9 essential amino acids. If you exercise in the gym without taking enough protein, you are just breaking down your muscles with nothing to repair them. This makes working out pointless, and prevents you from reaching your desired goals. By adding whey isolate protein powder to your diet, you’ll start losing weight faster and healthier, the reason being the ability to feel fuller, since protein is a satisfying nutrient. It also increases the duration of feeling full, so that you can train for longer periods. What’s more, whey reduces fat tissue and replace it with lean muscle tissue. There are small fragments of protein in whey that can help with lowering blood pressure, which can be a very positive thing if you are overweight and want to exercise. Australian researchers put this theory to the test and proved that it is actually a fact. Whey Makes You Go Yay! Whey protein can also serve as a mild anti-depressant. This is due to the two amino acids it contains: tryptophan and glutamine. These are both very effective when it comes to stimulating the brain. Tryptophan helps produce more serotonin, which is one of the four hormones of happiness. Glutamine helps reduce anxiety, thus it can make one feel calmer. Isolates are the purest form of whey, they are the protein of proteins, containing 90-95% of it. Here are the wonders they can do for you. Whey isolate protein powder is loaded with amino acids, which are essential for human survival. They help rebuild muscles after workouts and abstinence of amino acids can actually lead to muscle loss. Since they are not produced in our body naturally, we must look to other sources to get it. What makes whey protein isolate a gift from God is the fact that it contains NO fat or carbs in it. This means that you can get raw protein with no extra fat to slow you down. For all the lactose intolerant readers, good news, whey isolate protein powder has less than 1% lactose in it. That is too low to affect anyone, but just to be on the safe side, do consult your doctor prior to consumption. As if all of the above wasn’t enough, whey protein isolate is also very easy to digest, especially when taken in liquid form. Whey isolate protein is the cheat-code of getting a lean, hot and amazing body, the healthy way.